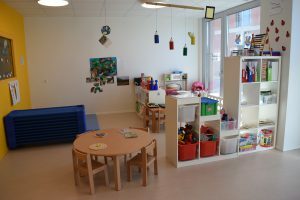 Cap Canaille Mont-sur-Lausanne welcomes children from 3 months old and up until they start school. The daycare welcomes 88 children and their families in a bright and friendly setting Monday to Friday from 6:30 am to 6:30 pm. Situated in the residential area of Montjoie, the Mont-sur-Lausanne bilingual English-French daycare is open all year, closing only during official Vaud Canton holidays as well as 2 weeks between Christmas and the New Year.A multicultural team dedicated to the well-being of your children care for them in a safe and secure environment. 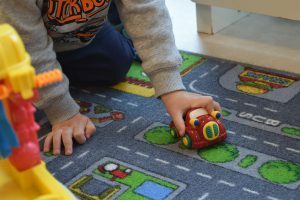 An educational program promoting the autonomous child and inspired by Pikler and Montessori education principles allows each child to develop at his or her own pace. A private garden adjacent to the classrooms completes the daycare site allowing children to enjoy outdoor activities. Come visit, we would love to meet you!